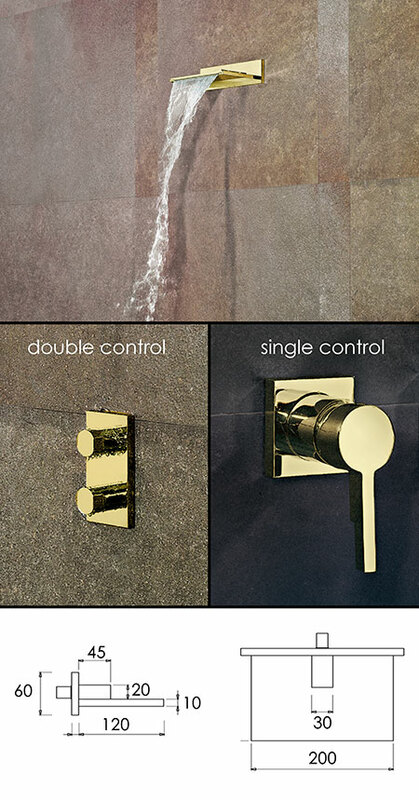 This luxury waterfall shower head is finished in a thick gold plating onto a solid brass body. Part of a matching gold bathroom taps collection this waterfall shower head is available with an optional single or double shower valves. * gold on solid brass body.